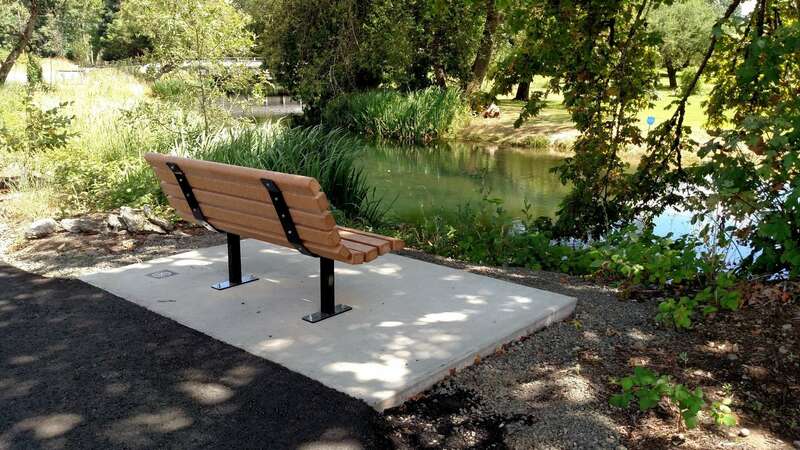 If you happened to take a walk recently along the Canal Trail, you may have noticed some brand new benches, lovingly placed by Build Lebanon Trails volunteers. There’s a story behind the benches, one that showcases Lebanon’s strong and giving community. The Canal Trail, which runs on the north side of Lebanon near Linn-Benton Community College and Samaritan Lebanon Community Hospital from Route 20 to Marks Slough, was made possible by easements donated by three landowners: Rick Franklin, Don and Linda Gerig and the Gus Gerson family. 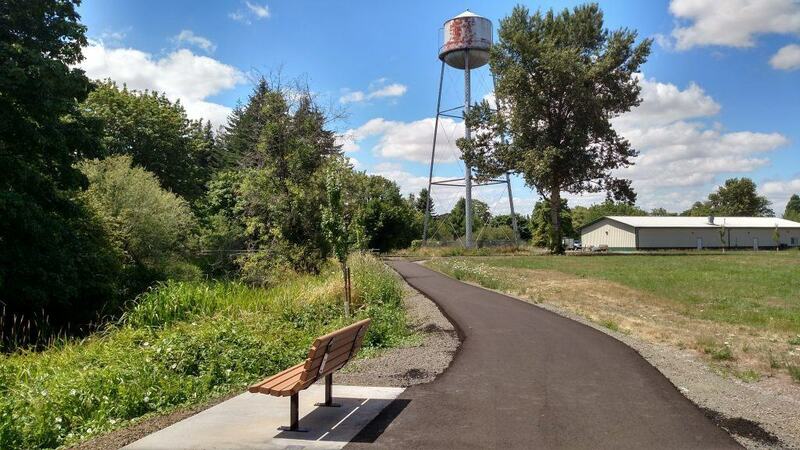 Over the past few years, we’ve been developing a trail along those easements, and now it’s part of the larger trail system on the north side of town. We decided to install three commemorative benches to honor each landowner’s kind donation of the easements. My wife Joanne and I found that good quality benches would cost at least $850 apiece plus hefty shipping charges. And then the cost of the concrete platforms for the benches. Ouch! 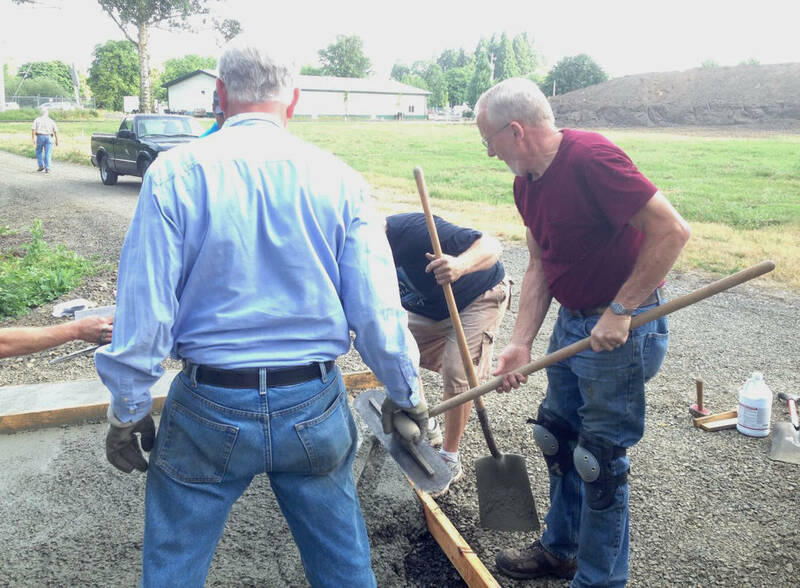 We knew we would want to install more benches along the new trails that Build Lebanon Trails and the city are developing, so we decided to harness our volunteer power and build our own, using the benches at Cheadle Lake as a model. Our daughter and son-in-law, Carissa and Lance Kaiser, offered to help us with the design and manufacture of the bench supports. They were well qualified for the work; they own Pacific Custom Products, a company in Salem that builds display racks. 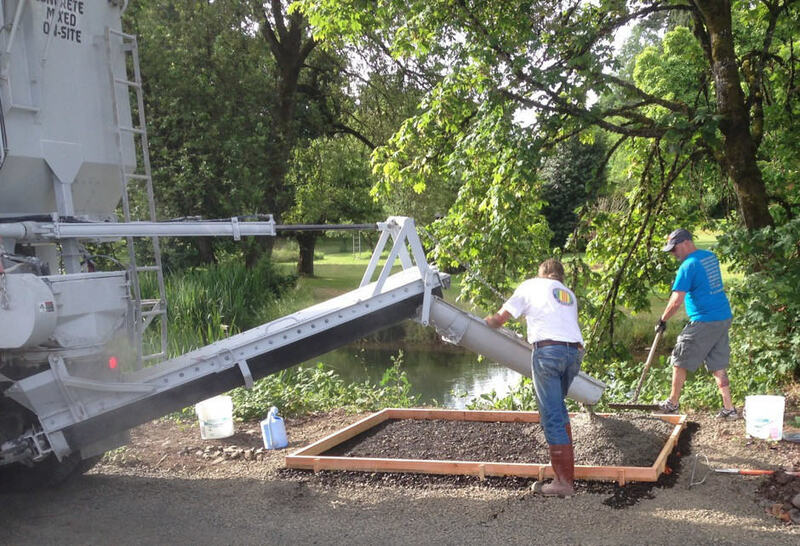 They created and donated 50 supports to BLT — enough to build 25 benches! Joanne and I donated the recycled plastic lumber needed for 25 benches. The BLT board decided to find sponsors for the benches and earmark the money for future trail development. 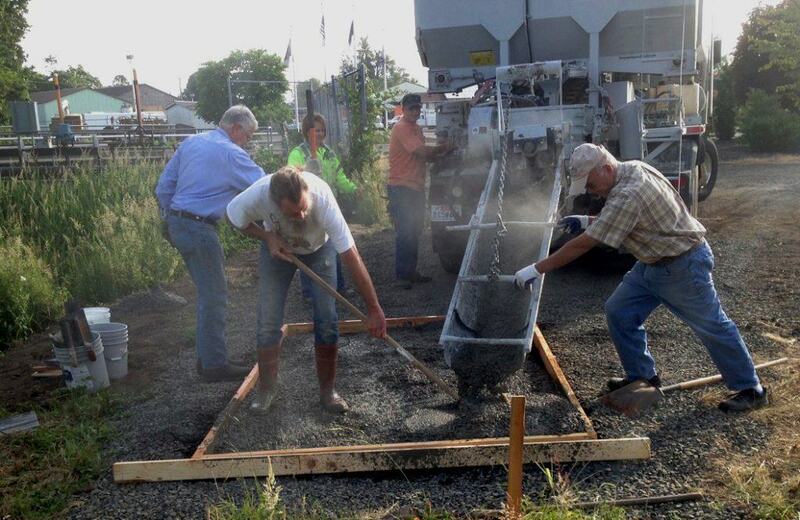 The Lebanon Rotary Club became involved in our bench project a little over a year ago. 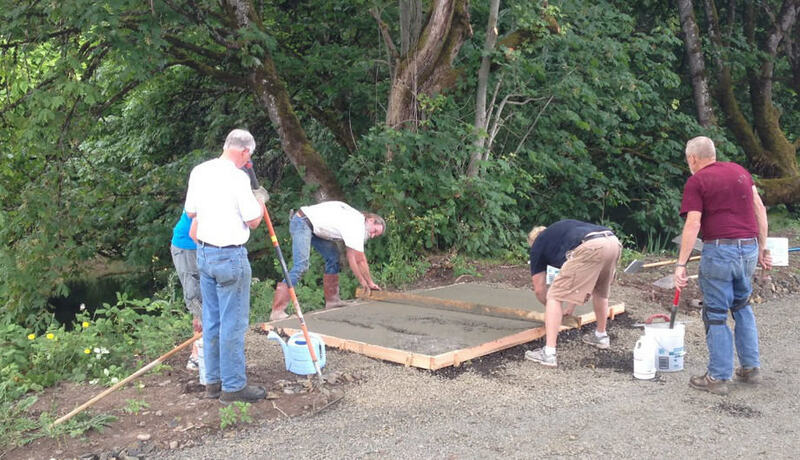 They used money from two separate grants to put in the concrete platforms for nine benches along the Canal Trail and Mark’s Slough Trail, so each platform will include a small Rotary emblem. They also sponsored four of the benches. The first three bench platforms and benches are now in place. We plan to install six more benches over the next three months. Potential bench locations have been identified at Cheadle Lake. 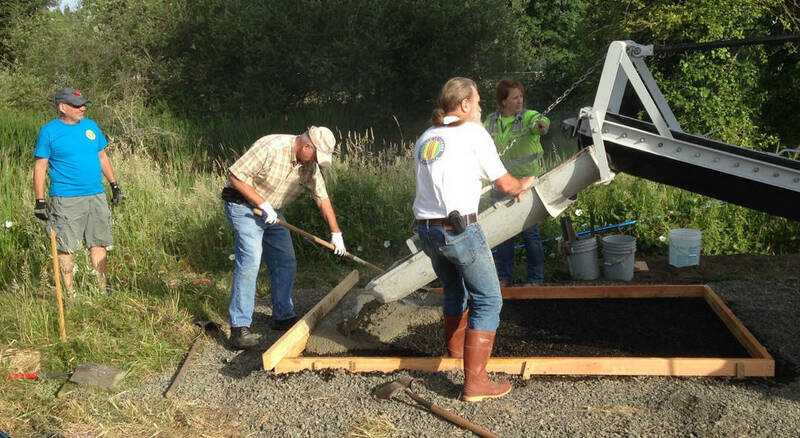 In the future, we’ll install benches along new sections of trail and possibly in city parks. Would you like to sponsor a bench? We still have a few sponsorships available. The cost is $1,000, plus the cost of a commemorative plaque if you want one. We believe the trails add a tangible benefit to our community, and the benches are the proof that the trails are well loved.